I concur, amazing expressions of imagination alright. 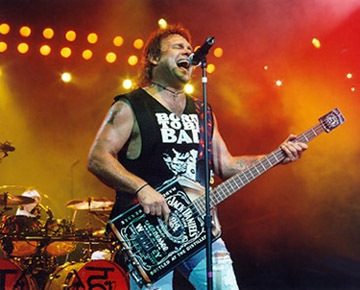 incidentally, As a connoisseur of Jack Daniel's whiskey, Michael Anthony built a bass in the shape of a Jack Daniel's bottle at the urging of friends. The bass was originally built as a novelty item and was assembled from various bass parts. The Jack Daniel's bassguitar made its debut appearance in the No.1 Van Halen hit video "Panama" . The JD bass was later donated to the Hard Rock Cafe chain, but was such a hit, that Michael decided to build a high quality version. The Jack Daniel's company offered to assist with the graphics in exchange for Mike's entry into their hall of fame. he he... would be fun to try. Are you gonna get one Sean? Re: the second pic......that's insane! LOL! 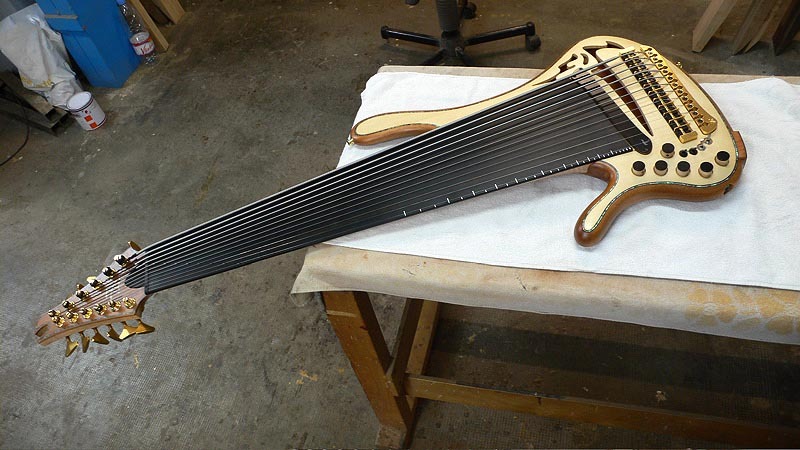 May as well play a chapman stick if you really want that many strings..
Miss Piggy wrote: Re: the second pic......that's insane! LOL!